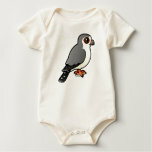 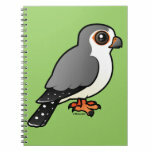 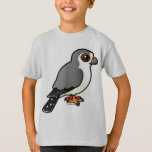 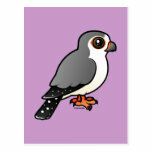 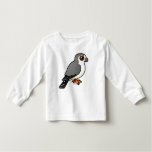 The African Pygmy Falcon is a small bird of prey that lives in parts of eastern and southern Africa. 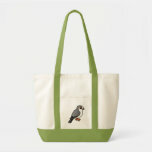 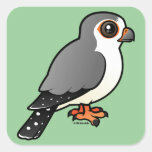 The tiny falcon measures just about 7.5 inches long and is the smallest bird of prey found in Africa. 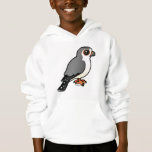 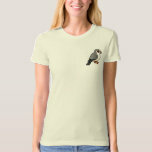 African Pygmy Falcons are white below and grey above. 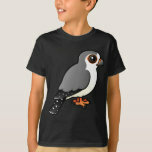 They have reddish orange feet and around their eyes. 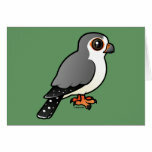 Their are black spots on the flight feathers and the barred tail also appears spotted when the bird is at rest.